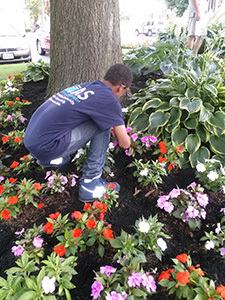 Just-A-Start’s TeenWork program provides career development services to low and middle-income high school youth living in Cambridge who are seeking employment. Youth can enter the program during the fall and spring academic semesters, working one-on-one with career coaches to discuss career goals and next steps. Youth who enroll in the program will obtain work maturity soft skills by attending job readiness workshops that will cover exploring career options, developing a cover letter and resume, searching and applying for jobs, and preparing for interviews. 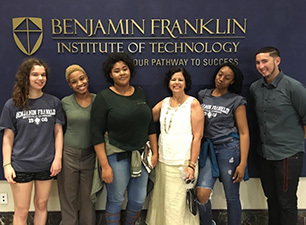 Youth will be supported with securing employment during the academic year or during the summer and will continue to receive career counseling support services for up to one calendar year following program completion. In just four weeks, we’ll show you how to connect your passions to meaningful employment! You’ll leave with a professional resume, targeted cover letter, and the confidence needed to nail even the most competitive job interview. This program customizes to you and your goals. UPDATE: TeenWork will meet from 3-4 PM every Tuesday in March 2019 at JAS YouthBuild, 1175 Cambridge Street in Inman Square (15 minute walk from CRLS). Fill out the interest form to learn more and send a text to 617-433-8402. Please click here to complete an inquiry form if you are interested in participation in this program. For more information after submitting an Inquiry Form, please contact JAS TeenWork by emailing youthprogram@justastart.org.